The Education of Mary | © Marielena Montesino de Stuart. All rights reserved. Today I would like to send my greetings and love to all the parents who homeschool their children, and to the children who lovingly embrace the blessings of a homeschool education. 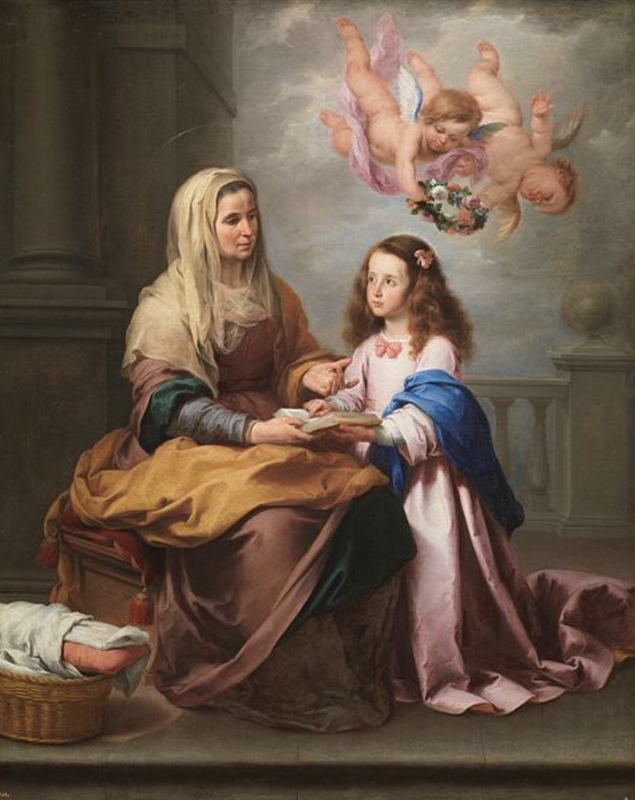 In this spirit, please enjoy this beautiful painting by the famous Spanish painter, Bartolomé Esteban Murillo (1617–1682), depicting St. Anne in the education of Mary.